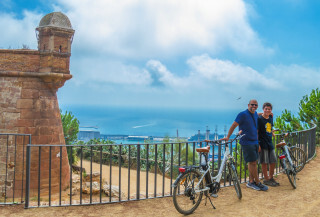 Capture the spirit of Barcelona's iconic neighborhoods and stunning views with a top-rated local guide and professional photographer. Scheduled tours run all year every day at 10:00 a.m. Starting March 2019, tour are also available at 4:00 p.m. The limit is 8 people in a group. Please contact us regarding private trips. We recommend wearing comfortable shoes and clothing. There is no charge for children riding in child seats. 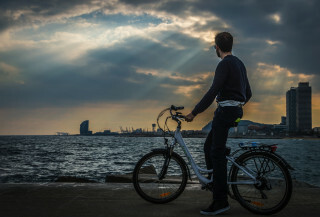 For small children, a regular bike (not e-bike) is an option if needed. Please let us know in advance. Cancellation with at least 24 hours notice is required to receive a refund of deposit. If you prefer to reschedule your tour, we will do our best to find another option for you. Cancellation from our side is possible in case of bad weather. In this case, we will agree on another date or you will be fully refunded. Our journey starts at 10:00 a.m. after meeting our friendly guide. 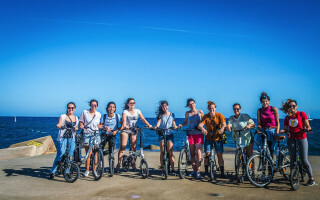 We hop on our e-bikes and begin the approximately 17-km (10.5-mile) tour in the vibrant Poblenou neighborhood. This former industrial area is now a magnet for artists from all over the world, making it a colorful start to our scenic route. 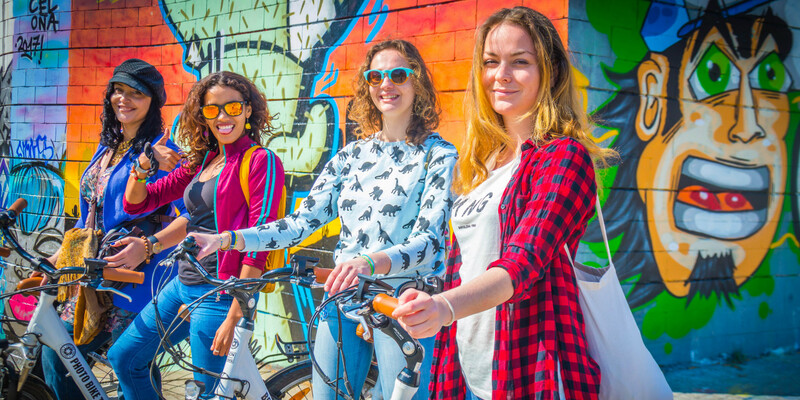 Riding our high-quality electric bikes, we explore the city at a comfortable pace. We are led by our experienced guide, Alf, a local professional photographer who is passionate about his homeland. He knows exactly where to stop for the best views and with his help, your photos perfectly capture each architectural masterpiece. Or you and your friends’ smiles! 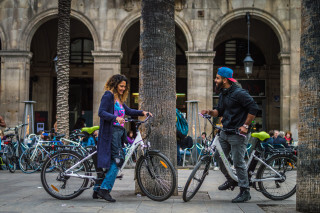 We visit Barceloneta, a former fishermen’s town, and Picasso’s source of inspiration, the Gothic Quarter. As we move through the city's famous squares and along the stunning seaside, Alf makes sure to show us some lesser-known paths known only to locals. And thanks to the small size of our group, we have plenty of opportunities to grab a snack and relax. At the end of our tour, Alf directs you to the tastiest restaurants in the city, including the best tapas Barcelona has to offer. These light Spanish dishes promise to make a delicious last note on your day of discovery.